Granny Annexes are becoming a very popular solution for many families who are contemplating moving their nearest and dearest in their time of need which, without extending, can often leave homes cramped and crowded. The most ideal and environmentally friendly answer is to build a solid log Granny annex in your garden and offer a higher degree of independence for relatives than 'living in' the main dwelling. Contact us today to discuss you requirements and we will do our very best to create something suitable to the needs of all parties involved. In a recent interview with Sales Director at New forest Log Cabins, John Rudd who has a 92 year old Mother of his own, came up with the idea of not just considering a Nursing Home for his Mother when she finally finds living in her home too difficult. "We thought our only option would be to consider her living in a Nursing Home, something she has never wanted to do and having worked herself for many years as a seamstress in an Elderly Persons Home, she is adamant that she could never live in one." "We think there is a real alternative to Care or Nursing Homes that helps you maintain the levels of care you would want for your Mum, Dad or elderly relative, if you have space, why not consider having an Annex in your back garden, then at least they are close enough for you and possibly a Care Worker to assist them but, crucially, they are still maintaining their independence". The first question people always ask is Will I need Planning for my Log Granny Annex? 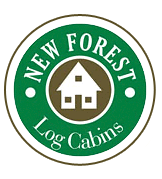 and the answer is yes, however, New Forest Log Cabins are now able to deliver a completely bespoke Transportable, Mobile or Temporary Lodge that can be assembled on site, which requires minimal planning permission. The permission it does need, we can help you with, as they can in most instances be installed under Permitted Development. We pride ourselves on fantastic customer service and we will ensure that we guide you through the whole project from start to finish to ensure the perfect Log home for your loved one. Click here to see the New Council Tax cut for families staying together.. Please click here to see some of our previously completed Granny Annexes and Retirement Lodges.